This newsletter is also available for download as PDF. 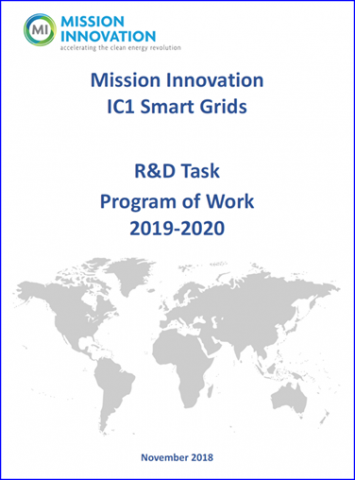 The Mission Innovation Innovation Challenge 1 (IC1) on smart grids is co-led by China, India and Italy. Participant countries include Australia, Austria, Brazil, Canada, China, Denmark, Finland, France, Germany, India, Indonesia, Italy, Mexico, Norway, Saudi Arabia, South Korea, Sweden, The Netherlands, United Kingdom, United States of America and the European Union represented by the European Commission. The 4th IC1 deep-dive workshop was held on 21-23 November 2018 in Rome (Italy) and gathered IC1 representatives from 17 countries, the European Union, International Organizations and Government representatives, smart grids experts and industry leaders to address smart grids research and innovation and the main challenges towards smart grids full development and deployment. The very insightful closed-door meeting held on the 21st November, where participants openly exchanged on key results to date and strategic development of IC1 activities, was followed by the 1st IC1 Industry Workshop fostering constructive interactions with industry leaders who illustrated smart grids solutions implementation projects worldwide and unveiled the key factors for successful projects in public and private partnerships. A full day high-level public event was then held on 23rd November involving representatives from Ministries, International Organizations and key stakeholders to share IC1 strategy and approach, disseminate recent achievements, and to confirm IC1 members’ continuing commitment to strongly support the ongoing fruitful collaboration. This is the power of Mission Innovation IC1: a balanced mix of expertise and the adequate combination of different stakeholder joining forces to accelerate the implementation of smart grids projects and initiatives. 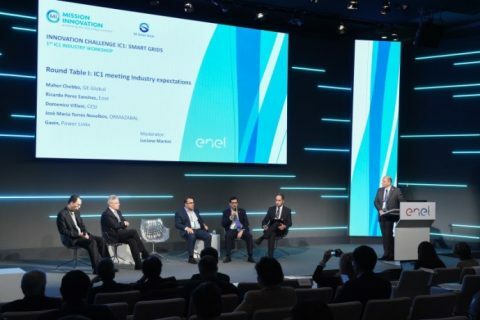 The “1st MI-IC1 Industry Workshop” hosted in the ENEL main Auditorium, with more than 80 participants, was an important moment to interact with key industry representatives from all over the world on IC1 objectives and activity. The Industry Workshop gathered representatives from leading companies in the smart grids sector to present examples of technical solutions already successfully implemented, identify the barriers for further developments and discuss needs and roles of IC1 to foster deployment and harvest benefits for the entire energy system. After the welcome speech by Josefina Stubbs, Deputy Director of ENEL Foundation and by IC1 co-leads, Marcello Capra from the Ministry of Economic Development, expressed the Italian Government full support to MI and the appreciation for IC1 achievements highlighting the importance of engaging the private sector enabled by this event. Ornella Celi, RSE – Italy, presented the IC1 open approach to promote industry engagement through the active link with MI Business and Investors Engagement (BIE) sub-group. 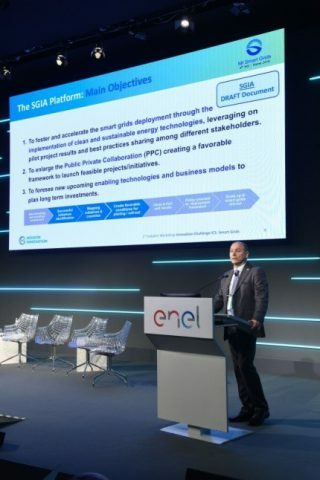 In line with the Mission Innovation Action Plan goals and IC1 willingness to involve the private sector, Luciano Martini, IC1 co-lead, presented the Smart Grids Innovation Accelerator (SGIA) Platform. The SGIA will serve as a suitable tool to enable sharing technical results and best practices, catalyzing the public and private sectors joint efforts towards IC1 goals to accelerate the development and deployment of innovative smart grids technologies worldwide. To identify innovative enabling technologies and business models to plan long-term investments. To achieve the above objectives, the SGIA platform will involve all relevant stakeholders in order to cover not only technological, but also policy & regulatory, and financial aspects. The work will be carried out through three main phases: information gathering and analysis; identification and mapping of initiatives and best practices to be replicated and, finally, the selection of best deemed technologies aimed to elaborate specific country focus plans. White paper with a “Vision 2030”, Technology mapping and Country Smart Grids Implementation Plans are the main SGIA expected outputs. Vincenzo Ranieri, CEO E-Distribuzione, opened the industry contributions session by introducing its company innovation strategy also at the light of very advanced automation developments taking place within the lighthouse project Puglia Active Network. 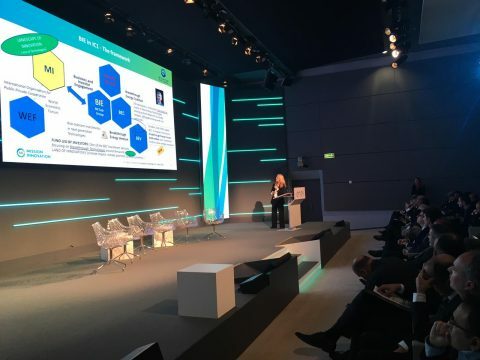 The very positive reply by industry key players to the IC1 invitation was demonstrated by sixteen industry success stories about smart grids projects and initiatives, presented in a very dynamic, professional and efficient manner. Excellent examples of the tremendous innovation efforts taking place at industry level and the already existing strong synergy between the public and private sectors were illustrated. Experiences from all around the world were shared by representatives from 3M, ABB, CESI, CISCO, ELECTRON, GE Global, IBM, Ormazabal, Power Links Technology Ltd, SEC, SIEMENS, SWEgrids, and TERNA as well as from IC1 country representatives e.g., Canada, India and Sweden. All presentations can be found here. In the afternoon, two Round Tables involving both IC1 members and industry representatives were organized to fine tune the interaction and identify responsibilities and expectations of grid stakeholders to accelerate the adoption of smart grids technical innovative solutions. During the discussion, industry leaders clearly expressed their appreciation and support to IC1 goals and objectives and declared their strong willingness to collaborate towards their achievement. Moreover, the SGIA platform was recognized to have the potential to become a very suitable tool to enable knowledge sharing of technical results and best practices, thus helping removing barriers and providing insights to boost Smart Grids market uptake. In the Round Table I: “IC1 meeting Industry Expectations”, moderated by IC1 co-lead Luciano Martini (RSE, Italy), industry representatives Maher Chebbo (GE Global), Domenico Villani (CESI), José María Torres Novalbos (Ormazabal), Gavin Zheng (Power Links) and Ricardo Perez Sanchez (ENEL) contributed to the discussion by sharing their point of view on top priority smart grids R&D topics and needs, and discussed public-private cooperation added value. The outcomes from the discussion allowed IC1 members to validate the priorities of the 2019-2020 workplan. In the Round Table II “IC1 Industry engagement: the way forward”, moderated by SC Srivastara (IITK – India), Jean-Yves Bodin (Schneider Electric), Giuseppe Viglialoro (CISCO), Jon Ferris (Electron), Gary Mei (Power Links) and Albin Carlen (Swedish Smart Grid Forum) shared their point of view on possible policies and funding mechanisms to involve industries in IC1 activity, recognizing: the strong interest of the industry representatives and the SGIA as the most suitable tool and promising pathway towards effective industry involvement in the near future IC1 activity. key role of policy makers and regulators to provide a favorable and stable framework to foster industry initiatives and of funding entities to provide the proper economic base by issuing funding opportunities, aligned with own country needs and priorities. All these ingredients are the pillars of the SGIA collaboration platform that will allow to embrace all relevant stakeholders and to develop an actionable plan allowing IC1 to reach tangible results within the 2019-2020 period. Apart from the confirmation of IC1 members continuing commitment to strongly support the ongoing fruitful collaboration within the Innovation Challenge 1 on smart grids, the Rome Declaration – to be announced and presented on the third day at the Public event – includes clear statements about the importance for IC1 members to fully engage with the private sector and business investors to accelerate the adoption and fast deployment of research outcomes and innovative smart grids technical solutions. 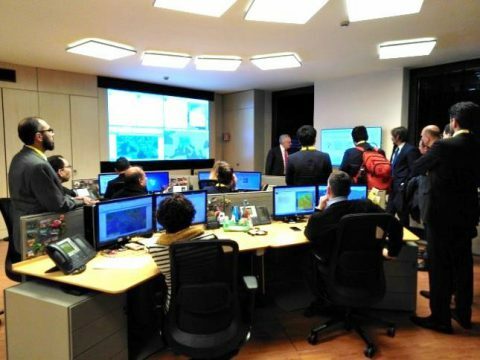 At the end of the workshop, a technical visit to E-Distribuzione advanced Distribution Control Center was organized, featuring presentations of the ENEL smart meters and hands-on demonstrations of the use of Augmented Reality for safe and efficient maintenance and system operations, and of Virtual Reality for the line operators training. This 1st IC1 Industry workshop expressed a clear commitment of Industry in IC1 goals and the unavoidable involvement of Industry in this challenging enterprise. The launch of the SGIA Platform and the shared success stories clearly showed that, in line with the spirit of Mission Innovation, public and private sectors have to join forces towards IC1 goals to accelerate the development of innovative smart grids technologies worldwide. The 4th IC1 “Public event”, promoted by the Italian Ministry of Economic Development (MISE) and organized by IC1 Co-Leads RSE, Ricerca Sistema Energetico (Italy), CAS, Chinese Academy of Science (China) and DST, Department of Science & Technology (India) with the strong support of GSE (Gestore Servizi Energetici), was held on the 23rd November at GSE Auditorium. The event, at the presence of Francesco Vetrò and Roberto Moneta, President and CEO of GSE respectively, gathered more than 90 participants from the smart grid industry, technical experts and government representatives to discuss and envisage viable and efficient solutions to overcome the unique challenges of implementing smart grids technology towards a smart energy system. Top-level management of leading industries shared their view and strategy towards smart grids innovation, development and deployment. After the welcome speech by the IC1 co-leads and by Francesco Vetrò, President of GSE, the strong commitment from the three IC1 Co-Leading countries China, India and Italy was expressed by Hon. Andrea Cioffi, Undersecretary of State from the Italian Ministry of Economic Development, together with H.E. Reenat Sandhu, Ambassador from the Embassy of India in Italy and Prof. Sun Chengyong, Counselor for Science and Technology from the Embassy of China in Italy. Moreover, in his opening message, Stefano Besseghini, President of the Italian Regulatory Authority for Energy, Networks and Environment, underlined the importance of global initiatives as MI to boost technology, policy and regulatory innovation. IC1 members released to the public the Rome Declaration – where the focus towards the strategic importance of the public-private partnership was confirmed and the continued effort focusing on the identified six R&D joint Tasks and towards the positive involvement of the industry to advise on practical priorities and to inform on state-of-the-art applications was strongly asserted. Moreover, as part of IC1’s strategy to sustain its present excellent track record and the ability to leverage both internal and external partnerships for maximum impact, the Rome Declaration clearly states the strong commitment of IC1 members to establish a fruitful collaboration with the International Smart Grid Action Network – ISGAN that operates both as a Clean Energy Ministerial initiative and as an International Energy Agency Technology Collaboration Programme. 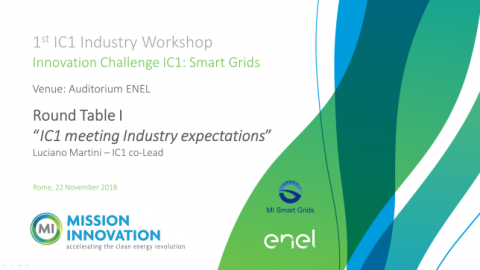 As an initial ambitious step, IC1 and ISGAN agreed to organize the first MI-CEM smart grids joint workshop at the MI4/CEM10 event in May 2019, in Vancouver, Canada focusing on two strategic topics of mutual priority: Storage integration and Flexibility Options. A joint fact sheet on each of the above topics will be developed and released at the first IC1-ISGAN workshop. The first session consisted of a round table discussion among the main Italian actors to showcase the national excellence in the development, innovation, application and deployment of smart grids solutions to integrate variable renewables and foster users’ participation towards an open and efficient energy market. 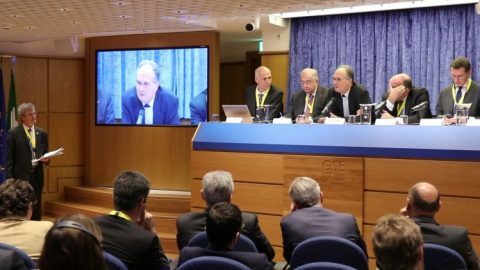 The discussion, coordinated by Michele de Nigris (RSE) analyzed the successes achieved in Italy as described by prominent personalities representing the entire value chain in the energy sector. In particular, Luca lo Schiavo (Deputy Director at the Italian Energy Regulator ARERA) described the measures taken to motivate innovation through incentives to smart grids pilots and the effectiveness of an output based regulation; Roberto Moneta (CEO GSE) highlighted the role of smart grids to enable high share renewable energy resources integration and the achievements in energy efficiency measures; Romano Ambrogi (RSE) discussed the national strategic research funding schemes and their outstanding impactful results; Matteo Codazzi (CEO CESI) dealt with the importance of functional assessment through laboratory and field tests, applied studies and international consultancies; Claudia Guenzi (Chair Smart Grids Group ANIE Energia) revealed the key to success of an integrated national technology supply chain; finally, Livio Gallo (Head of ENEL Global Infrastructure and Networks) shed light on the latest achievements and strategies of one of the major smart grids forerunner at global level, leveraging the latest technologies to modernize the networks and their management worldwide. 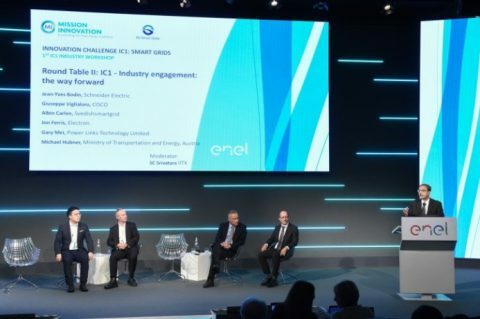 In the second session the voice of Industry was brought by representatives from key industries from IC1 co-Leading countries who shared their smart grids Innovation priorities and innovative technological solutions. In particular, Zheng Yu (Power Links Technology Limited, China), and Ricardo Perez Sanchez (ENEL, Italy) introduced their company approach to smart grids innovation and provided a few examples of technologies and solutions catalyzing the smart grids evolution, with particular reference to new generation smart meters, blockchain and advanced representation of grid components in their operating environments referred to as “digital twins”. The importance given by IC1 to the interaction and collaboration with international initiatives and organizations was highlighted during a specific session opened by Vincenzo de Luca, Director General at the Italian Ministry of Foreign Affairs and International Cooperation who stated the impact of international collaboration as an accelerator of technology advancement. In this respect he mentioned the India-Italy Technology Summit 2018 as a milestone in the framework for high quality bilateral collaborative research projects on renewable energy, clean technology, information and communication, healthcare, aerospace, education and preservation of cultural heritage. Existing as well as potential synergies and ongoing interactions between MI IC1 and International Organizations were highlighted by Michela Marasco from the European Commission, Alicia Mignone Chair IEA CERT and Luis Munuera from IEA, Emanuele Taibi from IRENA, Maher Chebbo Vice-Chair EU ETIP-SNET and Josef Ayoub as ISGAN ExCo member. This session was also the opportunity for the three IC1 co-leads to officially sign the Letter of Intent (LoI) with ISGAN. 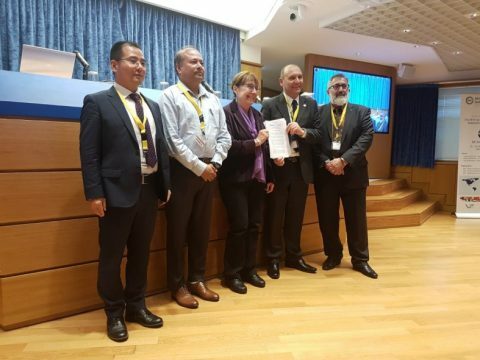 In fact, after the signature from the ISGAN Chair Karin Widegren the LoI was officially signed by Yibo Wang from CAS, NP Padhy from IIT Roorkee and Luciano Martini from RSE in presence of Alicia Mignone in her capacity of Chair of IEA CERT and Josef Ayoub Canadian ExCo member and ISGAN-MI IC1 liaison person. This LoI clearly states the willingness of MI IC1 and ISGAN to foster effective collaboration and to further explore opportunities for joint activities on strategic topics of mutual interest in the field of smart grids. Finally, the European Joint programming Platform ERA-net Smart Energy Systems was described by Michael Huebner (Bmvit, Austria) as an example of possible financing mechanism for IC1 future joint R&D activity and projects thus supporting effective cooperation among MI members. The last technical session of the day gathered a few examples of international lighthouse Smart Grids projects presented by NP Padhy and SC Srivastava from the Indian Institutes of Technology Roorkee and Kampur respectively, Luca Orrù (TERNA), Gianluigi Migliavacca (RSE), and Marialaura di Somma (ENEA). Specific references were made to the key projects, and namely: the CESC Mysore Smart Grid Pilot Project, the Puducherry Smart Grid Pilot Project, and the European Projects OSMOSE, SMARTNet and INTERPLAN. The Workshop ended with the announcement of the 5th IC1 workshop, made by Josef Ayoub – Canmet ENERGY- Dept. Natural Resources Canada. The 5th IC1 workshop will be held in Vancouver, Canada on May 27-29 2019 as a side event of CEM10/MI-4 Ministerial meetings. At the end of the workshop a technical visit to the GSE energy trading center was held. Participants had the opportunity to receive detailed information about the tools and methods adopted for the forecasting, planning and sale of electricity produced by renewable energy plants on Italian market platforms. 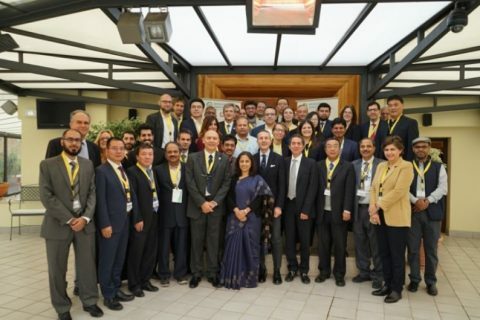 This 4th IC1 workshop represented an important milestone along the path of international collaboration for Smart Grids Research, Development, Demonstration and Deployment towards the achievement of the overall MI goals. All along the three days of meetings a clear view of the plans and programs was finalized and agreed upon, to consolidate the fruitful collaborative relationship among participants, sharing the tasks, planning practical actions, taking responsibilities, addressing issues and finding solutions towards a real and timely accomplishment of MI IC1 goals. Participating experts gave outstanding contribution to the different sessions by sharing and highlighting national achievements and research paths from 18 countries and the EU. Discussions with the industrial partners confirmed the interest for the plans and programs adopted in IC1 and motivated all stakeholders to join efforts: particular attention must be given to the Smart Grids Innovation Accelerator (SGIA) platform launched during this gathering, to be developed jointly by industry and the research community as a tool to facilitate knowledge transfer of proven technical results and best practices, thus boosting the market uptake of smart grids technologies. Solutions of excellence in the integration of variable renewables, grid automation, diagnostic, control, data analytics were presented by technology providers, utilities and consultants and were illustrated by numerous pilot projects effectively addressing also regulatory and interoperability barriers. Funding schemes gathering public and private investments were also presented and discussed, showing in practical terms that this type of synergy can bring to outstanding and impactful results.